India is one of the largest blocks of paganism in the world. 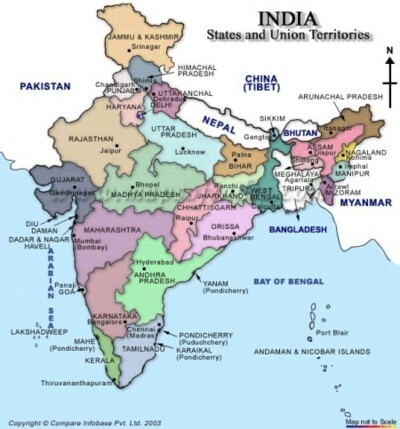 More than 1,2 billion people (2011 Census) live in India, of whom only 2,6% are believers in Jesus Christ. India has ± 820 million Hindus, 120 million Muslims, 22 million Sikhs and 10 million Buddhist people. Around 300 million “untouchables” have no home or work or regular income. The need in India is absolutely overwhelming. For a very big part of India Dante’s description of the hell is applicable: “You who are entering here are now leaving behind all hope.” The harvest is so enormous and the harvesters are so few and the material means so limited to reach these “unreached” millions of Indians whom our God truly loves. The FTS India team operates from a city in the North West of India, into Indian States with a population of more than 4 times the total population of South Africa. Most of the people living there have never heard the name of Jesus Christ even once. All the support funds for the full time FTS Indian missionary families have to be raised in & from South Africa as they serve in the poorest of poor societies in India. Train and equip many full time Indian pastors and their families as well as hundreds of part time Indian pastors and missionaries. Present more than 8 500 training module units to more than 2 500 Indian pastors and believers. Plant many churches, namely Hindi, Nepali and many Punjabi speaking congregations. Establish more than 35 house churches which are growing into full-blown mature churches. Establish very exciting children’s ministries and many Indian children are becoming followers of Jesus. FTS India training is received with open hearts because it is done in a contextualized way in which the text of the Bible is delivered in the context of the Indian people in a cultural friendly and cultural relevant way. FTS is also partnering with Indian Mission Partners as well as South African congregations as a means to fulfill its goals.